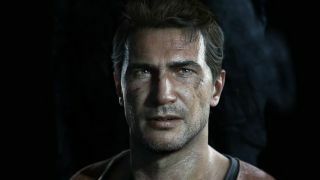 Nathan Drake's ascent (at least, we hope it'll be an ascent) from small screen to movie theatres has gathered pace, with the news that the upcoming Uncharted film will be directed by Shawn Levy. While it's not – and was never likely to be – a name of Christopher Nolan or Duncan Jones proportions, there's reason to be hopeful. Drake's cinematic debut is guaranteed to serve up Indiana Jones-style family friendly fare, and Levy is the man who created the more-than-watchable Night At The Museum series – and, more excitingly, served as executive producer on all eight episodes of Stranger Things' first season. Deadline reports that scriptwriter Joe 'Smokin' Aces' Carnahan was originally in line to direct the film, but has since stepped aside in order to concentrate on Will Smith/Martin Lawrence reunion flick Bad Boys For Life. “In a perfect world I would love to do both, but right now, I’m only on board to write the script,” he said back in August. There's no word as yet on who'll take on the role of Drake himself, with even Nolan North – who played Nate throughout the videogame series – in the dark as recently as June. "The last I heard Mark Wahlberg was still in the running, but I really don’t see it," North told The Daily Star. "I thought Chris Pratt would do it justice, but guess he did it already in Guardians of the Galaxy - that was a Nathan Drake character." "From what I can tell he was even offered the role [of Drake] but he turned it down. What does that say?" As soon as any cast updates are available, you'll find them right here on GamesRadar+. The Uncharted film, directed by Shawn Levy, is due for release on June 29, 2017.